FOR THE second season running, a team from Cleethorpes is playing on Non-League finals day. Last season, Grimsby Town, whose ground is in Cleethorpes, lost in the FA Trophy final, this year, the club that bears the Lincolnshire coastal town’s name will run out in the FA Vase final on May 21. As is often the case in the FA Vase, the two finalists are enjoying barnstorming campaigns. Cleethorpes, who are top of the Northern Counties East League Premier division, scoring 125 goals in 36 games, will play Northern League title-chasing South Shields, who have also hit over a century of goals in their league fixtures. Doubtless, both clubs will currently be in the midst of fixture congestion as the FA Vase is a long haul competition. 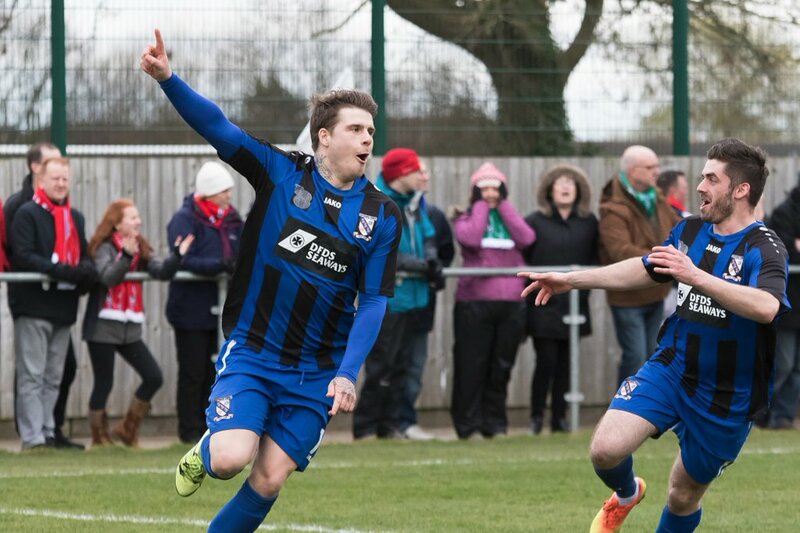 Cleethorpes must rank among the most entertaining teams to watch in non-league football. This is the sixth consecutive season they have notched up more than a 100 goals in a league campaign. The club was only founded in 1998 as the Lincolnshire Soccer School by former Grimsby Town player Tommy Watson. They were originally known as LSS Lucarly’s. They joined the Lincolnshire League in 2003 and graduated through the Humberside League and into the Northern Counties East League. Crowds are at record levels at the Bradley Football Development Centre, averaging 185 for league games – a rise of 23%. Needless to say, there will be many more following the Owls at Wembley. But they are likely to be outnumbered by South Shields’ fans – Cleethorpes’ opponents average crowd is eight times higher! It underlines the scale of Cleethorpes’ achievement in getting to the final. The club’s run to the final has demonstrated that the team has a great deal of character. In the first two rounds, against Emley and Bootle, Cleethorpes came from behind to win 2-1. Against Bootle, it was not until the 86th minute that striker Brody Robertson equalised and then four minutes later, he netted the winner. In round five, Marcus Newell’s side were two-down against Atherton Collieries and scraped through with an injury time clincher from Matty Coleman. They showed their class in round six with a 5-2 win at Southall, two goals coming from Liam Davis, two from winger Jonathan Oglesby and Robertson on the scoresheet again. Davis deserves mention for speaking about about homophobia in football. The former Grimsby youth player, who was signed from Gainsborough Trinity, came out himself a few years ago and was (and may still be), Britain’s only openly-gay footballer. Into the semi-finals, Cleethorpes experienced a big crowd for the first time when they travelled to Bromsgrove Sporting in the semi-final first leg. A crowd of almost 3,500 saw a 1-1 draw, setting-up a tense second leg. There were 1,200 people at the Bradley centre as Cleethorpes won 1-0, thanks to a very early Gary King goal. Vase fever has been building for a few weeks in Cleethorpes. The title is getting closer, but before meeting South Shields, the Owls (or Clee Town) have six league games to go, against the likes of Clipstone, Bottesford, Athersley Recreation, AFC Mansfield, Garforth and Armthorpe Welfare. Pickering Town are right behind them, but Cleethorpes have three games in hand. They need eight points from their six remaining league games to be champions. They’ve also got a Lincolnshire Senior Cup final to play against Deeping Rangers. Success breeds success, as they say – if you don’t buckle under the pressure of so many games in a short space of time. It’s a problem virtually every FA Vase finalist faces, but on the evidence of recent results, Clee Town have plenty of gas in the tank – they’ve just hit 10 goals in a game for the second time this season.